An azalea with flowers arranged in a circular pattern. Buds, which will eventually turn into flowers, are located in the center of these flowers and show dark-red colors. The flowers have long filaments which have anthers at their apexes. Styles also extend from the center of each flower. The style has a stigma at its apex which is circular in shape. 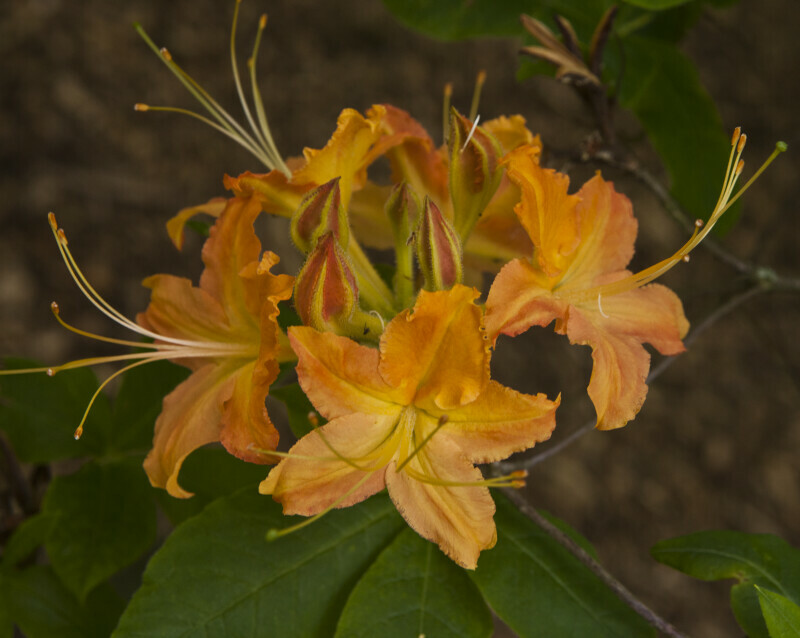 This photo was taken at the Arnold Arboretum of Harvard University.